When itch.io started there were just a handful of games, you could easily see all the games in a single page. This is no longer the case, itch.io now has over 250 published games! The old browse page let you scroll through the entire library, which was nice to see the vastness but not so nice for those looking for something specific. The new browse page lets you filter content by a set of different facets. For example, you could easily browse through just the free Linux action games. Additionally, it’s now possible to search for games by keyword. You can find the search bar on the top of the browse page. For example, you could search for Rose & Time. 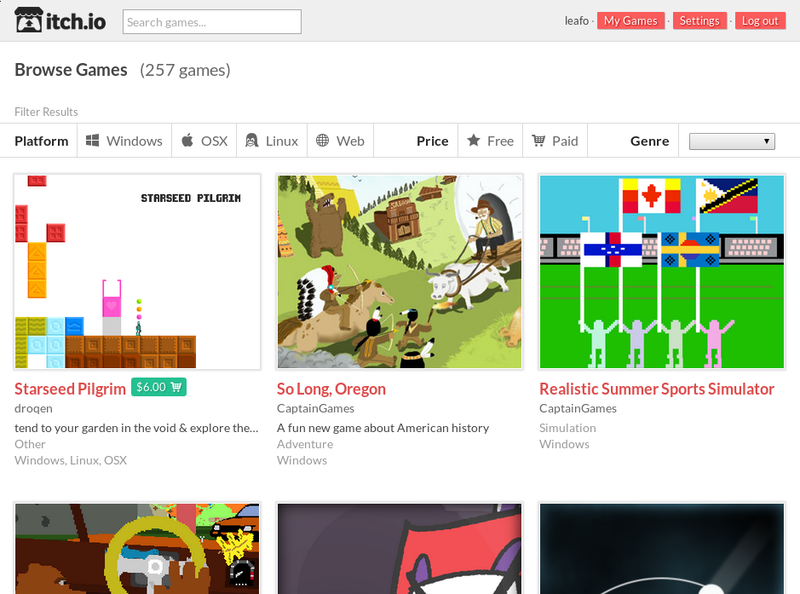 This is just the start of browsing and discovery for itch.io. As time goes on I see itch.io not only as a way to distribute games but also as a way to promote and expose games. Being able to effectively find games is the first step to a great place to discover new games.